How is “Body Shaming” even a thing? The fact that couples like Drew & Jenna Kutcher, positive body advocates, are shamed for being a normal curvy girl with a hot guy, is shameful and makes my heart hurt. When has it become “O.K.” and even celebrated to “shame” people, celebrities and non-celebrities alike, all whilst hiding behind their computer screen? For some, they don’t even have to hide. Being a plus-size girl myself, the idea of going to the gym nearly sends me into a panic attack. People can be so MEAN! 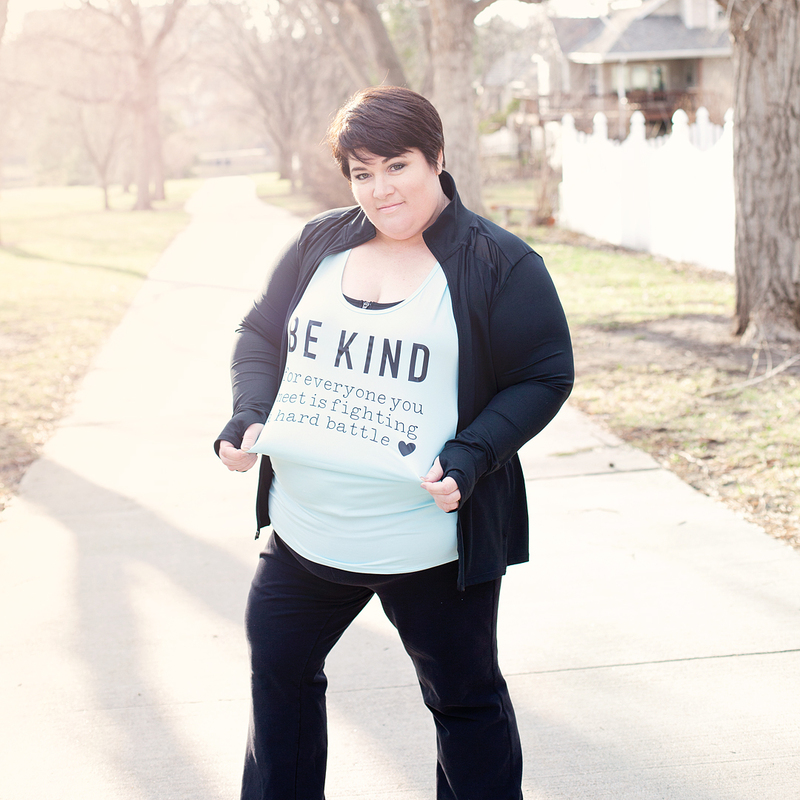 I have recently shared on my Instagram account that I have started my weight loss journey with Weight Watchers and when Cricut asked if I would design a new shirt for the launch of a new product, all I could think about was creating a BE KIND workout shirt to wear at the gym. This isn’t easy so, buckle-up, I’m getting a personal today… I have always been on the curvy side. Even as a child, I was a little more “fluffy” than the rest of my friends. Nothing too crazy, never the less, I was always very hard on myself, as most of us are, when I was younger. Then I had four beautiful babies and with each pregnancy, I would put on more and more weight. 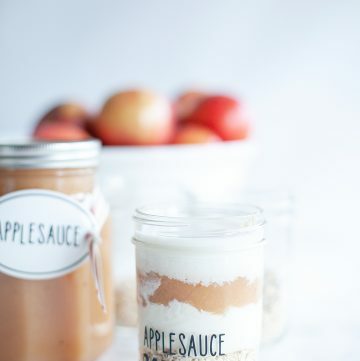 Being a Mom was just so hard and I struggled to put myself ahead of the pack to take care of my health. 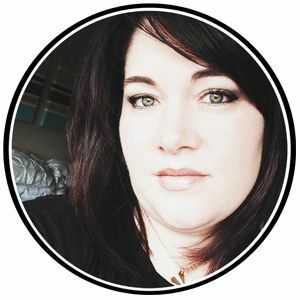 Was I a little lazy, yes, I will admit that but, I was exhausted as most moms with littles are… Every single day! I also had more hidden challenges that were hard to share, hard to admit and hard to accept. With a family history of chronic depression & anxiety, I often struggled with basic day to day tasks. I always wanted to push it off as postpartum depression and just try and wish it away. I didn’t want to be labeled as someone with mental challenges. I also had chronic pain that I tried to wish away too. Wishing really doesn’t get you anywhere when it comes to your mental and physical health. I tried to just stick my head in the sand and soldier on. That’s what we’re taught to do, right? I’m here to tell you, that doesn’t work. I have since been diagnosed with Fibromyalgia and I’m happy to say that I have been working for over a year to get both of these issues in check. I’ve finally come to the point where I feel like I can actually start working on becoming a healthier me. Mid-January, I decided to join weight watchers and so far I’ve lost 13.8 lbs. The first few weeks were great, then I struggled for a few. But, I’ll share more about that later. I’m finally at the point where I feel I can start adding more physical activity into my daily routine. You have to understand though when you have Fibromyalgia, any type of physical movement can be a little scary. You never really know what is going to trigger a flair-up. 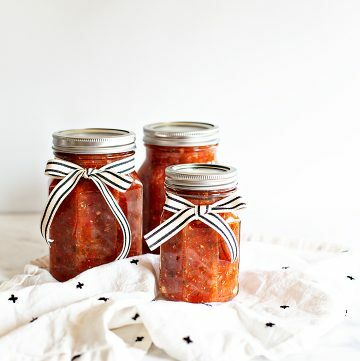 Sometimes it is even simple everyday tasks that can send your body over the edge. I’ve spent years trying to avoid those painful, debilitating flair-ups so, the idea of actually pushing my body is terrifying! What’s even more terrifying is going to the gym and having people stare at the fluffy lady trying to work out. What do they know? They don’t know my struggles, what I battle with every day. They don’t know my heart and how hard I work to make sure I stay healthy mentally and physically for my family. Sometimes, even getting out of bed is a challenge for me. Who are they to judge? 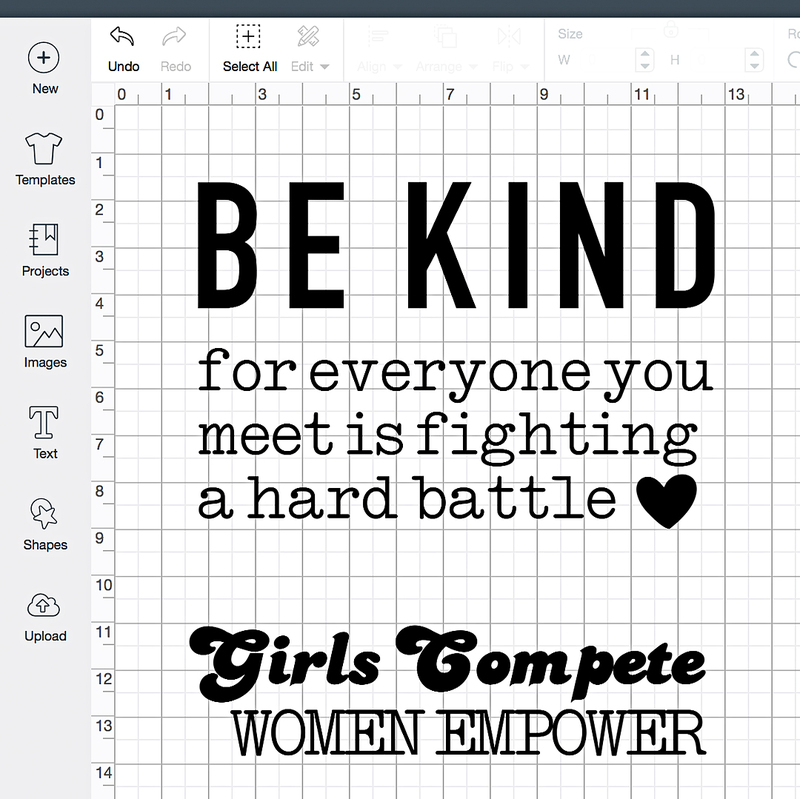 Cricut is launching a new product that I’ve fallen in love with of course. They have a new SportFlex Iron-On™ that works like a dream with your polyester and nylon fabrics. To celebrate the new release, Cricut is having a huge shirt design event. I, of course, couldn’t pass up a chance to share more of my favorite type of design, creating and inspiring with words. 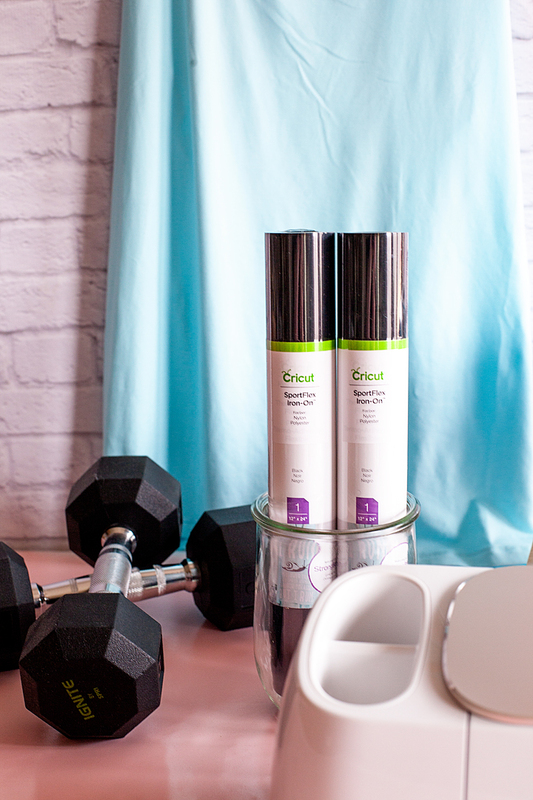 Now, this new SportFlex Iron-On™ is perfect for your workout shirts, swimsuits, pajamas and the like. 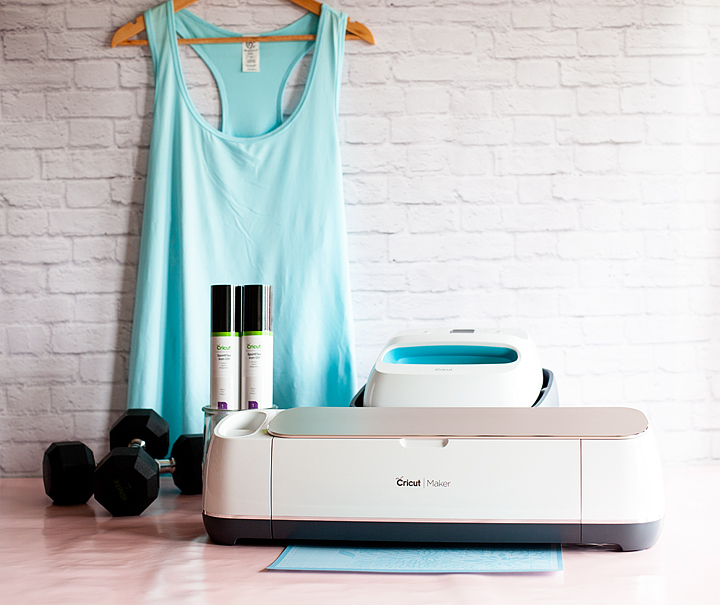 Made especially for activewear, SportFlex Iron-On™ features the Cricut StrongBond™ Guarantee* for long-lasting iron-on results that stick. This flexible, stretchable iron-on material moves and bends with the body and keeps your high-performance clothing lightweight. 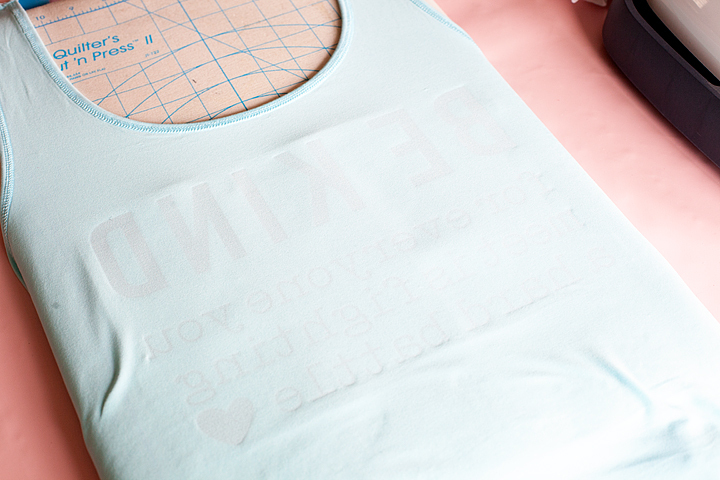 SportFlex Iron-On is highly recommended for tech fabrics like polyester and nylon like my workout tank. 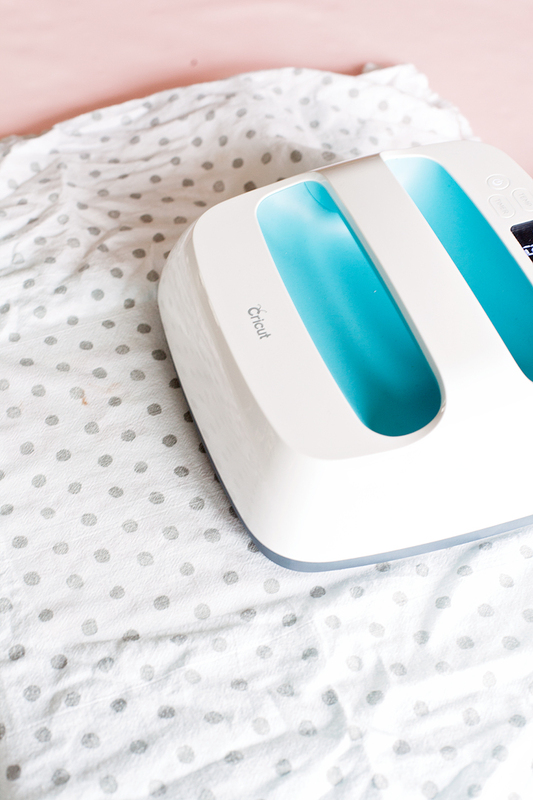 Cricut Easy Press Mat or a protected hard surface – You can use a quilting ironing board on a hard surface but, not a clothing ironing board. They aren’t firm enough. You can also place a towel on a hard surface if you don’t have either of these two options. 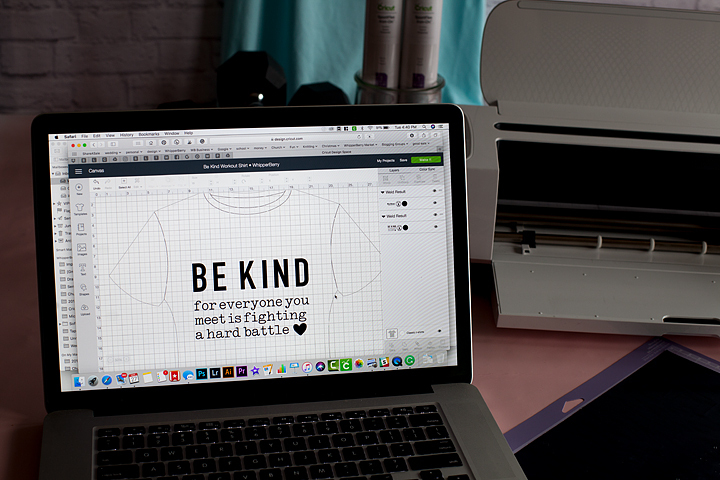 First, you need to open Cricut Design Space with my Be Kind design. I’m even giving you a bonus design that I love too. Once that is loaded, you’ll need to check your sizing. I’m a 2X and it’s sized right for the larger shirts. If you are smaller then that, you’ll want to change up the size a bit. Measure across your chest, right at your underarms and decide how wide you’ll want it to be. Now, if you haven’t ever worked with iron-on vinyl before, it’s a smidge different than traditional vinyl. You actually cut it on the underside of the material. Therefore, you’ll need to load your cutting mat with the shiny side of the SportFlex Iron-On face side down with the more matte side, right-side up. 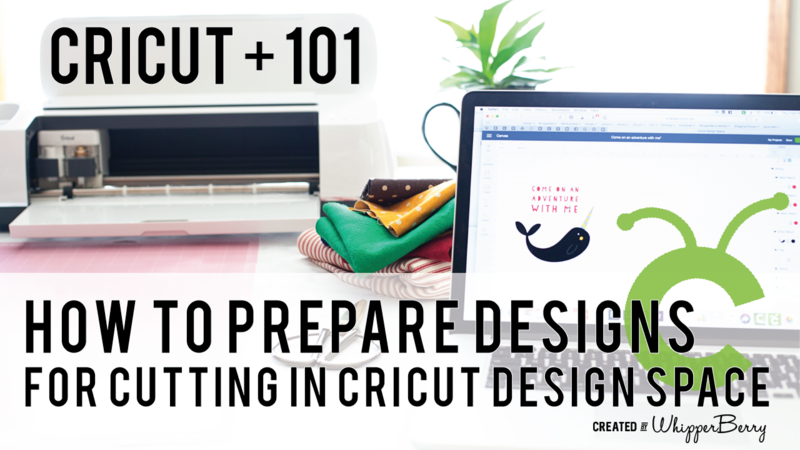 Then you’ll load your cutting mat into your Cricut Machine and prepare your design in Cricut Design Space. One great feature in Design Space is the template feature. 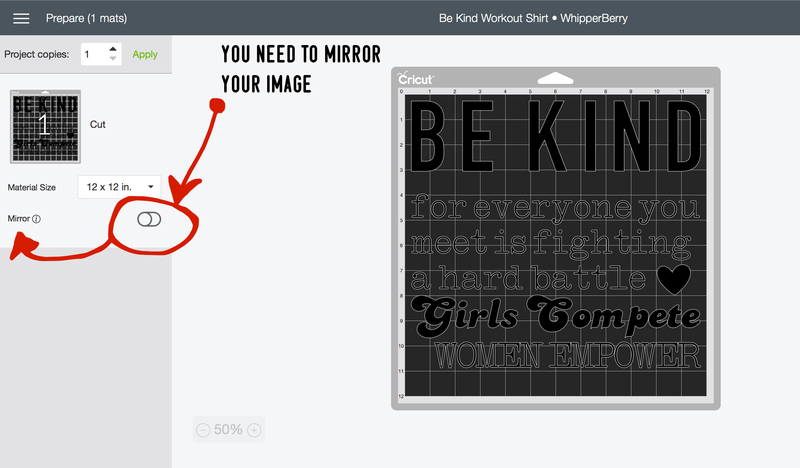 You can select a t-shirt template and it will help you figure out measurements and spacing for your design. 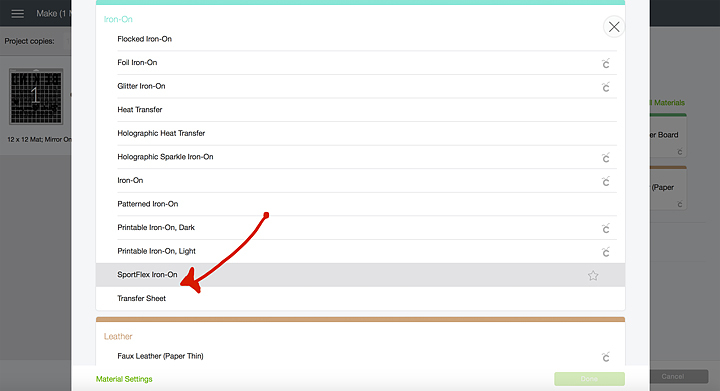 You’ll need to select the template button at the top left of your screen in Design Space. 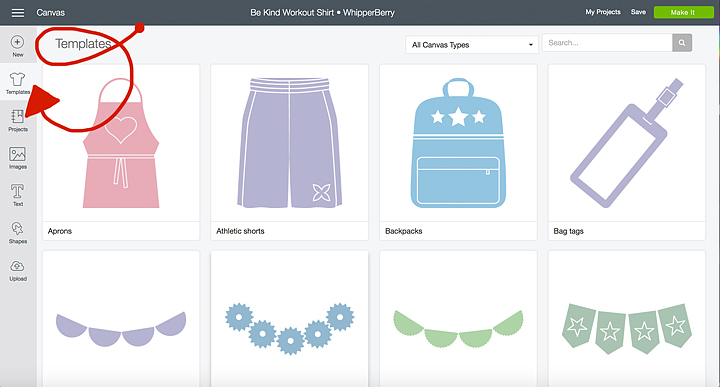 Then select the basic tee and it will load into your workspace. Now, keep in mind, the template only shows up when you select it this way. Your design doesn’t save with the template attached. If you want to use the template, you need to go and select it again each time you open the design. Now, I know my shirt is a tank but, at least this template gives me a little bit of a guide. You’ll know what works best for your shirt. Keep a measuring tape handy so that you can get proper measurements. At this point, you’re ready to cut out your design on SportFlex Iron-On material. Your mat is loaded into your machine and you press make it. This is the point where you double check your cutting mat to see if you need to make any adjustments. 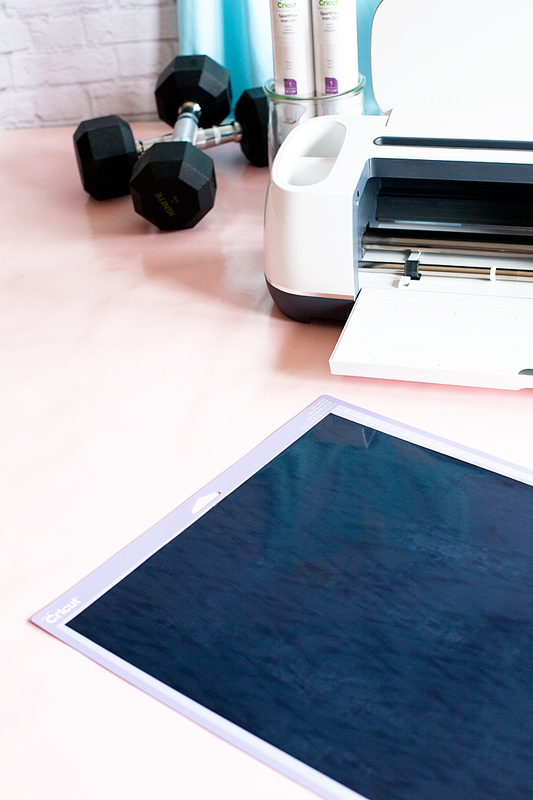 If you aren’t comfortable with this quite yet, no worries, I have a Cricut 101 video that will guide you through that process. Visit this How To post and scroll down a bit for the video. All you need to do is click on that little switch button to active the mirror option. Now, it’s mirrored and you’re ready to move on. With a new iron-on product like SportFlex, you need to make sure that you select the right material settings when you’re getting ready to cut your design. After your machine has connected via Bluetooth, this screen will appear. 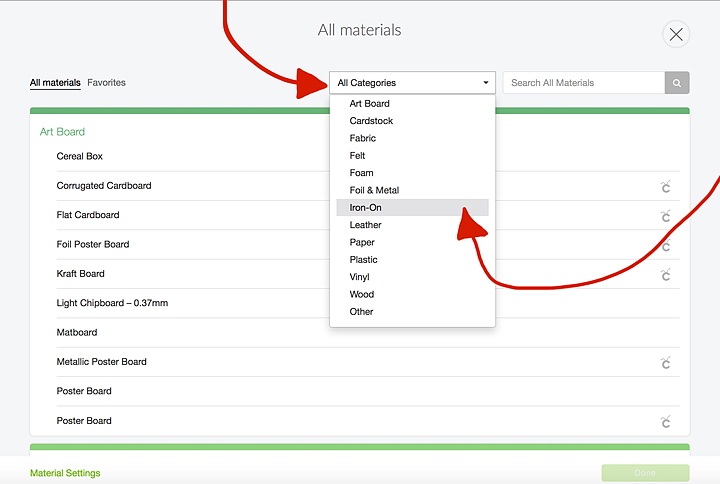 Select Browse All Materials in the top right. Then click on the Categories Down Down List and Select Iron-On. This screen will open and you’ll need to select SportFlex Iron-On. 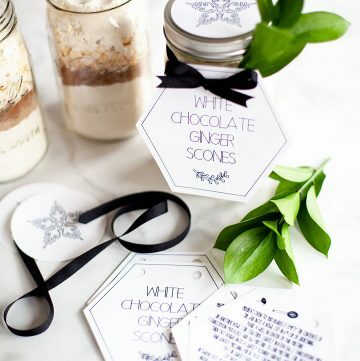 The reason why you need to be so specific is, each material in the Cricut Design Space has been calibrated meticulously buy the design team at Cricut. Each material cuts just a little different from the next. SportFlex Iron-On is a very thin material so as to not add a lot of bulk to your performance ware & to allow for movement. Therefore it needs a “Kiss Cut,” that means the machine will only cut the vinyl, not the protective film underneath. These guys are really good at what they do, aren’t they! Now, you’re ready to cut. Press the GO button when it starts flashing and your design will begin cutting. Typically, most iron-on or heat transfer type materials are easier to weed than traditional vinyl. That’s why I LOVE it soooooo much! 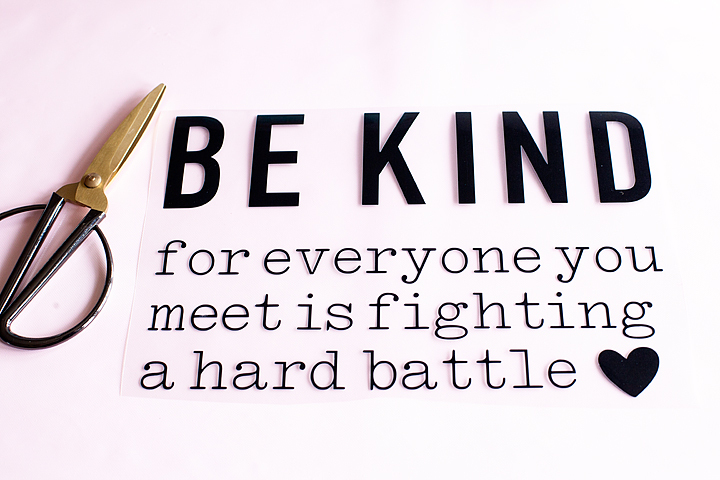 One thing that you need to keep in mind. Weeding tools are really helpful. I can’t even imagine trying to weed without them. Second, even though the SportFlex is easy to weed, you want to take it slowly. It’s a very thin material and moving to fast will increases the chances of tearing your vinyl. We’re almost finished, now all you need to do is apply the design to your shirt. I used a quilters Cut’n Press for this project because I had not yet received my Easy Press Mat. Sure enough, the mat just arrived as I am writing this post, therefore, I will use it for my next iron-on project. I can’t wait!! I place the shirt on the mat and placed my Easy Press, which was preheated to 305˚, onto the area of shirt that I was planning on applying the vinyl for 15 seconds. This preheats the fabric and allows your SportFlex to adhere better. Then place your design on the shirt making sure to center and line it up properly. 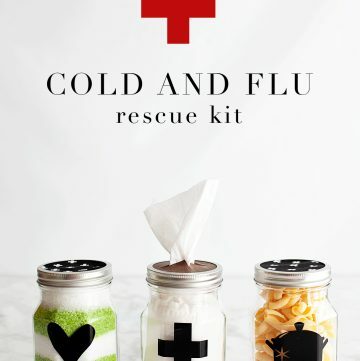 I covered mine with a light cotton cloth and then placed the Easy Press on my design for 30 seconds. Make sure if your design is larger than the 9-inch plate of the Easy Press, you move to another section and press again for 30 seconds. Then, turn your shirt inside-out and press again for 30 seconds over the entire surface of the design. Turn the shirt right-side out and let it cool for a few minutes and then carefully remove the protective sheet. 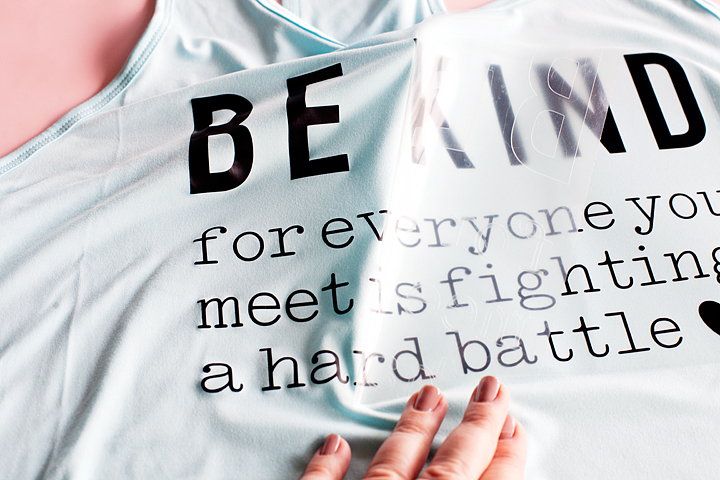 That’s it… Your shirt is all ready for the gym! 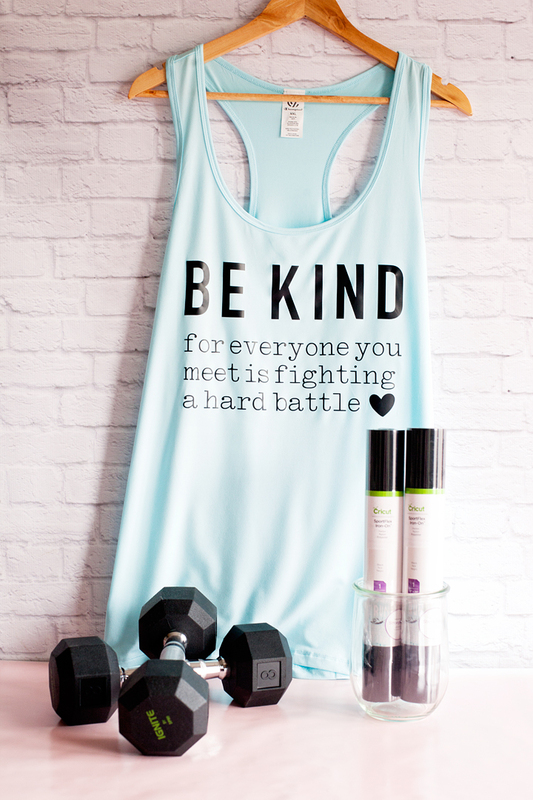 The bottom line is, no matter where you are on your wellness journey, we ALL need to be more kind to each other. We are all unique in our own way and we should love ourselves more no matter our shape, size, skin color and so on. This saying may not resonate with you, that’s alright. 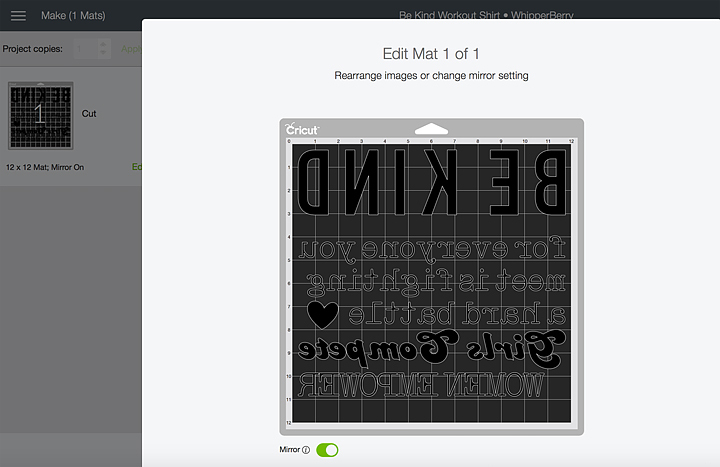 Jump into Cricut Design Space and design your own. It’s so easy! 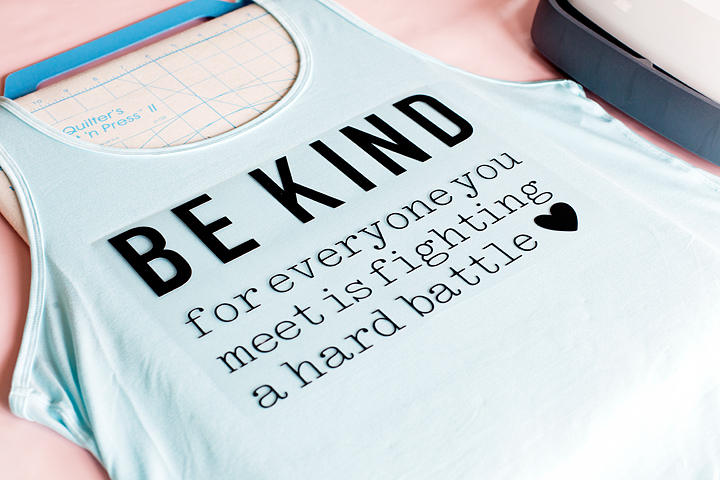 This saying really means a lot to me and I will wear it proudly as I work on becoming my best self! Gulp, I feel like I’m in my sports bra and in bike shorts on top of the scale on The Biggest Loser. Why is this so hard to share our imperfections. What are you struggling with? What quote do you need on your shirt? ahhhhh, CorieAnn! I love and miss you! Thanks! I love this message so much, especially in this day and time. 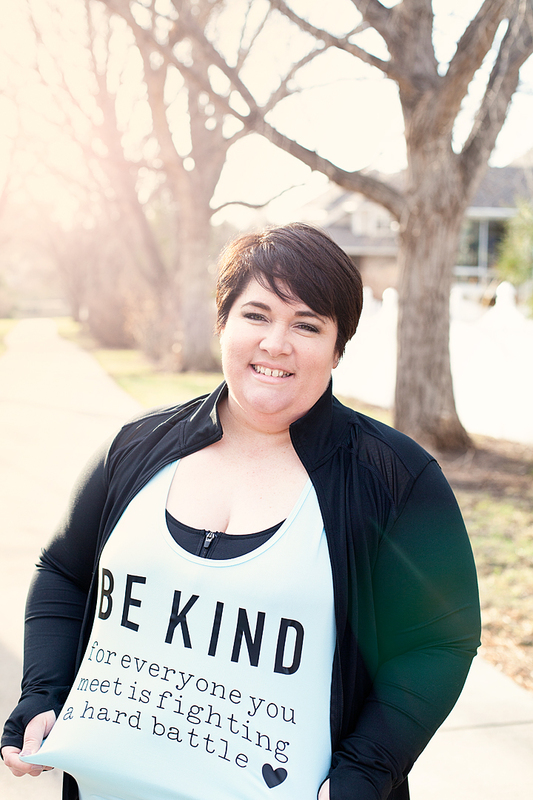 Thank you for sharing your story and I am going to pin this to try for myself! Thanks, Mary! I really appreciate your sweet comment!